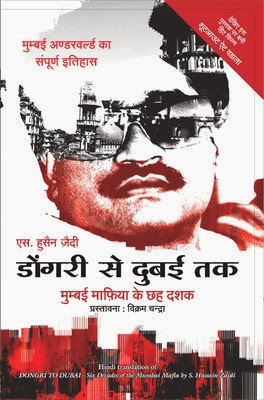 Dongri se Dubai tak is the Hindi translation of the best-selling book by Hussain Zaidi on the underworld crime, From Dongri to Dubai. This book details life in the Mumbai mafia. It tells the story of infamous men such as Haji Mastan, Karim Lala, Varadarajan Mudaliar, Chhota Rajan, and Abu Salem. More so, it is the story of a young boy who went astray despite coming from a police background. His inception into crime by the Mumbai Police and his eventual elimination of all competition have become legends in the dark underworld of Mumbai. His name was Dawood Ibrahim. This book tries to bring readers his story, and the story of the rise of the Pathans, formation of the Dawood gang, the first ever supari, the mafia's clandestine role in Bollywood, Dawood's move to Karachi and Pakistan's subsequent alleged hand in sheltering one of the most wanted people alive. A carefully researched book, it gives readers insights into a boy who went from Dongri in Mumbai to Dubai in the Middle East to become a Don. S. Hussain Zaidi is an Indian investigative journalist and writer. He has also written: From Byaculla to Bangkok, Mafia Queens of Mumbai and Black Friday. Zaidi worked with several leading publications, including the Indian Express, Mid-day, Mumbai Mirror and the Asian Age.